A Wedgwood, dark blue, jasper dip cup and saucer. 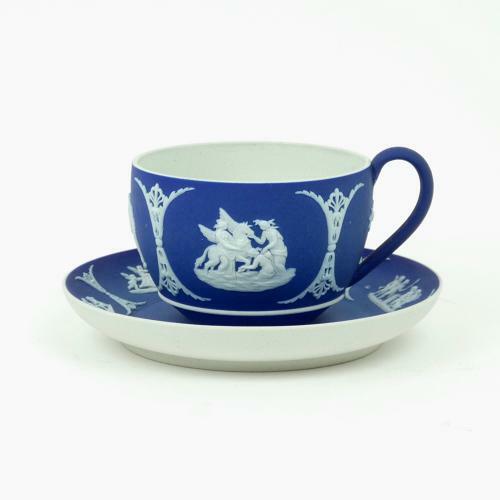 Both the cup and saucer are marked 'WEDGWOOD ENGLAND' and they date from c.1900. They both also have an impressed number '8' near to the England mark and the cup also has an impressed 'S'. They are both decorated with classical subjects which are divided by anthemion and the reliefs are all very good quality. Both the cup and saucer are in excellent condition.